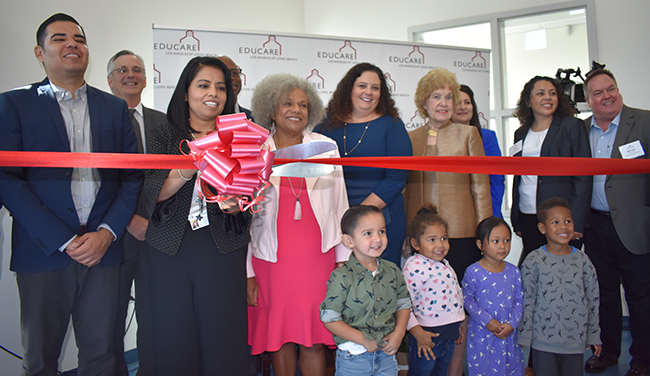 Educare Los Angeles at Long Beach was formed through a public-private partnership between organizations committed to ensuring all children receive high-quality care and education from the moment they are born to the day they enter kindergarten. Educare Los Angeles at Long Beach works to increase access to high-quality early learning across southern California. The school serves as a hub for modeling how early learning programs can provide quality early childhood education, partner with families, and advocate for education practice and policy. An update on one of our newest schools, Educare Los Angeles at Long Beach!